Dorothy Gilman started writing when she was 9. At 11, she competed against 10 to 16-year-olds in a story contest and won first place. Dorothy worked as an art teacher and telephone operator before becoming an author. 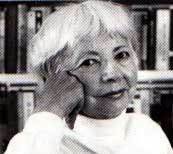 She wrote children’s stories for more than ten years under the name Dorothy Gilman Butters and then began writing adult novels about Mrs. Pollifax–a retired grandmother who becomes a CIA agent. The Mrs. Pollifax series made Dorothy famous. While her stories nourish people’s thirst for adventure and mystery, Dorothy knew about nourishing the body as well. She used to live on a farm in Nova Scotia, where she grew medicinal herbs. Her knowledge of herbs comes through in many of her stories, including A Nun in the Closet, in which Dorothy Gilman started writing when she was 9. At 11, she competed against 10 to 16-year-olds in a story contest and won first place. Dorothy worked as an art teacher and telephone operator before becoming an author. She wrote children’s stories for more than ten years under the name Dorothy Gilman Butters and then began writing adult novels about Mrs. Pollifax–a retired grandmother who becomes a CIA agent. The Mrs. Pollifax series made Dorothy famous. While her stories nourish people’s thirst for adventure and mystery, Dorothy knew about nourishing the body as well. She used to live on a farm in Nova Scotia, where she grew medicinal herbs. Her knowledge of herbs comes through in many of her stories, including A Nun in the Closet, in which a nun treats a man’s wounds with the herbs growing nearby. Many of Dorothy’s books, including Caravan, feature strong women having adventures around the world. Dorothy spent much of her life in Connecticut and Maine. She died at age 88 of complications of Alzheimer's disease. “Once upon a time, [the guru] said, when God had finished making the world, he wanted to leave behind Him for man a piece of His own divinity, a spark of His essence, a promise to man of what he could become, with effort. He looked for a place to hide this Godhead because, he explained, what man could find too easily would never be valued by him. "Then you must hide the Godhead on the highest mountain peak on earth," said one of His councilors. God shook His head. "No, for man is an adventuresome creature and he will soon enough learn to climb the highest mountain peaks." "Hide it then, O Great One, in the depths of the earth!" "I think not," said God, "for man will one day discover that he can dig into the deepest parts of the earth." "Where then, Master?" cried His councilors.